QuickTime 7.0, which became available for the PC on 9/7/05, causes a conflict in multimedia applications created with Macromedia Director. We are in the process of creating updates so that our titles will be compatible with QuickTime 7. If you have upgraded to QuickTime 7 and do not see your CD-ROM title on the list below, proceed by clicking here. • Living on the Edge LAB MANUAL ED. If you have one of the above titles, click here for instructions on updating your CD-ROM for use with QuickTime 7. *If you are unsure that you have Quicktime 7.0, click here to find out. The computer does not seem to recognize the CD-ROM in the drive. You may have to clean the CD ROM Disk. To do this, use a CD-ROM cleaning kit, or gently wipe the silver side of the CD-ROM with a soft, lint-free cotton cloth. Do not use paper cloth, which can scratch the plastic and leave streaks. When you clean the CD-ROM, wipe from the center of the disc outward. Do not use a circular motion. If the issue continues to occur, clean the CD-ROM with a damp cloth or a commercial CD cleaning solution. Dry the CD-ROM thoroughly before you insert it into the CD-ROM drive. Your CD-ROM drive may keep in cache (memory) the last title you placed in the drive. It takes a moment for the CD-ROM drive to “catch up” to the fact that you have placed a different CD-ROM in the drive and have attempted to open up that program. If you get the message “Cannot locate _____ CD-ROM” even though you have the CD-ROM in the drive, you should remove the CD-ROM from the tray and reboot your computer to remove the cache title from your drive. When your computer has rebooted, then reinsert the CD-ROM - wait a few seconds before you double click the icon on your desktop until the CD-ROM title has registered in your drive. If this is still a problem, you may need to uninstall the CD-ROM and reinstall it. Be sure to choose REBOOT to restart your computer after the installation. If you gave trouble uninstalling/reinstalling, please call our toll free number 9-5 EST for help. Video or sound does not play. A red X occurs in the video box or the error # duration occurs. Install QuickTime by clicking My computer, click on the CD-ROM drive, right click on the CD-ROM title, click on EXPLORE. Open the folder labeled QUICKTIME. Click on the .exe files to start the installation process. 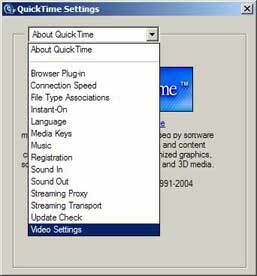 If your CD-ROM was published prior to 2005, the version of QuickTime that might plays best is 4.0. However, some machines prefer 3.0, or 5.0. All versions are included on your CD-ROM if published after August, 2002. If you need another version of QuickTime that you cannot find in your CD-ROM QuickTime folder, you may download if from the link below. If your CD-ROM was published in 2005, please use QuickTime 6. Click here to download QuickTime for Windows. Click here to download QuickTime for Mac. Video plays but stutters or freezes just after launching and will not play correctly. Exit the program completely. 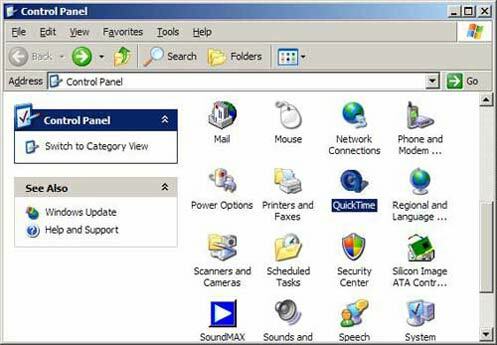 Adjust your QuickTime settings by going to your Windows Start menu, then to Control Panel (Windows 98 and 2000 users: go to Settings first, then Control Panel), then to QuickTime. You will see a drop-down menu that defaults to “About QuickTime.” Drop-down to the option labeled “Video Settings” and select it. 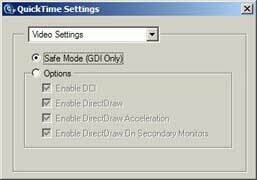 Under the heading “Options,” de-select (by clicking in the box next to each option) “Enable DirectDraw,” “Enable DirectDraw Acceleration,” and “Enable DirectDraw On Secondary Monitors.” The only option that should be checked when you are through is “Enable DCI.” ADD Or it will say, "Safe Mode (GDI only)." When you are done, close the window. When you launch the CD-ROM program, the video should play correctly. Now, click on the slider for Hardware Acceleration and drag it all the way to the left. The description will say Emulation only. Now click on the Apply button (bottom right), then click OK on the two windows to finish. Load the disc again, and see if this has helped. If you still encounter problems, please call us for help. You cannot hear the audio, or the sound is choppy or jumpy. Make sure your speakers are plugged in, are correctly connected to your computer, are turned on and the volume is turned up. DOUBLE CLICK ON THE SPEAKER ICON on the bottom right-hand corner of your desktop. Make sure none of the mute boxes are checked, and make sure volume is turned up for all types of audio. Make sure you only have one copy of the program running. If you hear the intro music during use of the program, you have more than one copy open. This will result in poor performance. Close out of all the programs by pressing the Esc button on your keyboard several times. 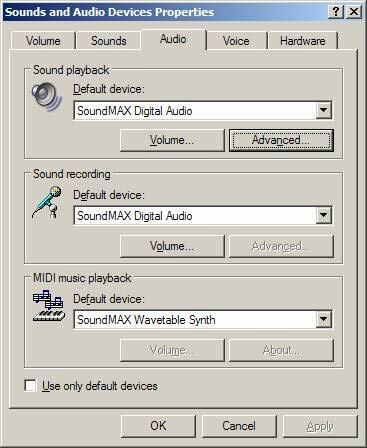 Then double click the program icon on your desktop, making sure you double click only once. You may need to install the contents of the disc onto your hard drive, instead of running the program from the CD-ROM drive. Uninstall the program by clicking on your start menu, programs, uninstall. Go through the install procedure again and click on "Full Install." This will take a few moments to copy onto your hard drive. Some sound/video cards are not adequate for this level of programming. 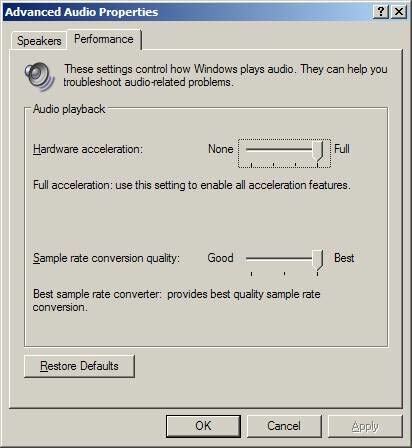 You may need to access a computer with a better sound/audio card. You cannot access any of the articles or other printed materials. You must install Acrobat Reader in order to view these documents. If you have another version of Acrobat on you machine (Acrobat 3.0 exchange, for instance) it will interfere with the program's ability to open the Acrobat program needed. You should uninstall other versions of Acrobat. (You also may need to reinstall the Acrobat program that is on the CD-ROM.) You can also access all of the PDF documents on the disc by accessing the folder on the disc labeled Media, and then click the folder labeled PDFs. You are asked to update your CD-ROM to receive revised program files. To update your CD-ROM, choose "Update disc" from your start menu icons. You must be connected to the Internet. Follow the instructions. You must update on each machine on which you play the CD-ROM, since the update process copies the files from the Internet to your hard drive.